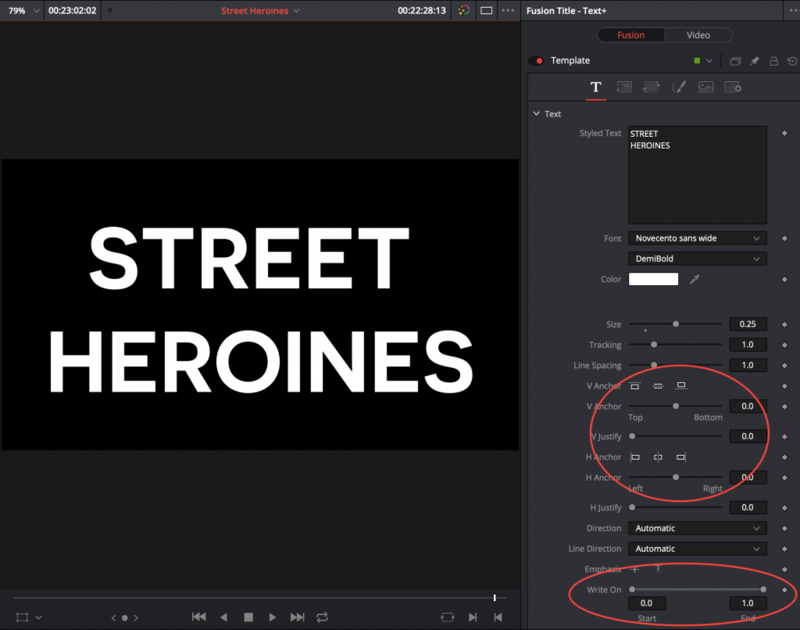 Motion graphics and Title Design have traditionally been seen as the “weak” spot for Resolve. Well, that is no longer the case. 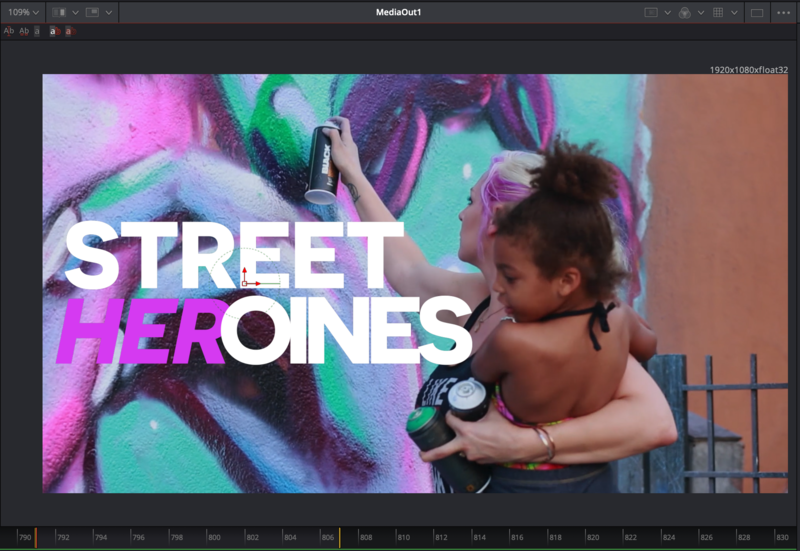 DaVinci Resolve has jumped from being a small-time player to being a professional in the major league of motion graphics, in one update. Granted, it is an integration of a preexisting software: Fusion. 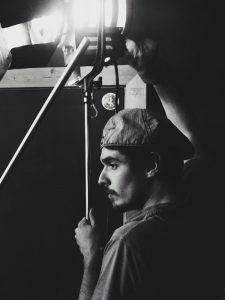 As Resolve is disrupting our model and slowly redefining post-production as we know it, editors, colorists, designers, compositors, and creators have access to whole new universe called Fusion, and it is a just one click away. Fusion can be intimidating and you might need more time to feel ready to learn it. You don’t necessarily have to leave the edit page. 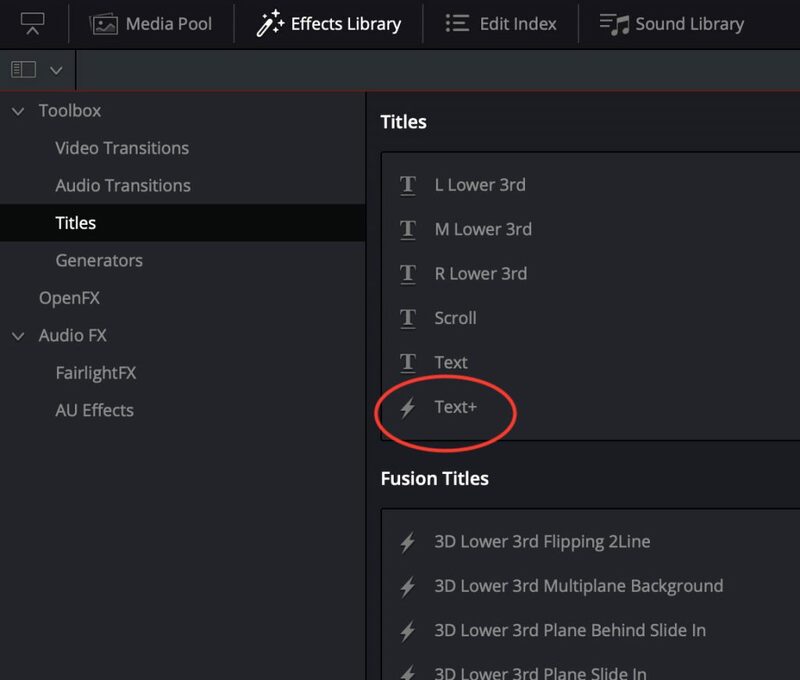 Our new favorite title tool is in your edit page toolbox, which can be found in the Effects Library. You may have discovered it already, but there is a new, exciting icon: the lightning bolt. Text+ is your Text tool on steroids. It is a fusion clip and if you drag it to your timeline it will appear as a fusion clip (with the cute little magic stars). Make sure you have your render cache on Smart or User because those will need to be rendered. In your inspector, you will find six menus and in each of the dozens of new sliders and layout options. – Copying and pasting text will be by default centered justified. – For more finer control on the sliders, just hold-click on the number value and drag left to right. – The little grey dot below is the default value, you can reset it by clicking on it. You can also reset any slider by double-clicking on the name itself. – Finally, this is more advanced but using tabs between elements (words or lines) will give you extra controls in tab spacing. So don’t worry about how your text looks in the inspector tab. will allow you to justify left or right along an imaginary line in the middle and horizontally. This is especially useful to make credit rolls. Line Direction is probably less useful but really fun, this tool allows you to change quickly the direction of the writing. For example, Top-Down will place your text vertically. It is basically a mask that will make the characters of your text disappears one after the other. The Slider goes from 0.0 to 1.0 but basically can you think about as 0 to 100% of the text. You can slide it to erase part of the words. You can keyframe it to create a typewriting effect. This is where you can decide where your text will appear or move in the screen. If you wanted to make a “Star Wars” opening crawl, you could keyframe it there. The transform menu as it is name says where you can manipulate characters, words or lines along an axis that you can define (XYZ, Horizontal, Vertical, Depth). Choose your center point with the pivot and once you understand that X is horizontal, Y is Vertical and Z is depth, you can pretty much make any animation you want. Of course, each element can be keyframed individually. You have a total of eight shading elements available. They function like identical pages but the first four of them have presets for you (each one is has a different Appearance selected). 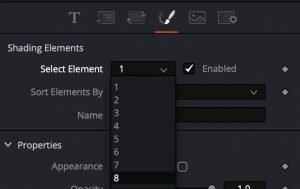 Make sure those elements are enabled (it gives you the possibility to focus on one at a time by disabling the others). It can get confusing here so here what you need to know before you get lost. 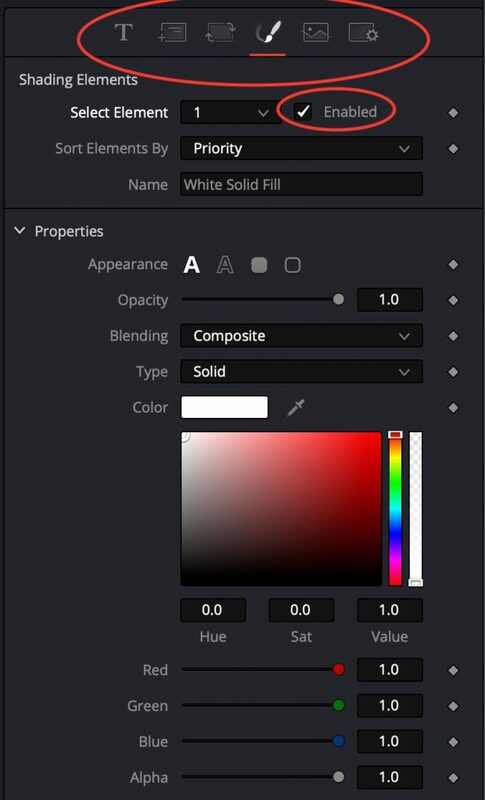 This is where you can paint your titles but also the shading elements. You have a total of eight shading elements available. There are like pages if you prefer and the first four of them have preset already selected for you (each one is has a different Appearance selected). In order to see those elements make sure they are enabled (it gives you the possibility to focus on one at a time by disabling the others). I’ll just go over two of them here. You have 8 shading elements. The first element is basically set to affect the color of your text. The third element, will affect the shadows behind your text. 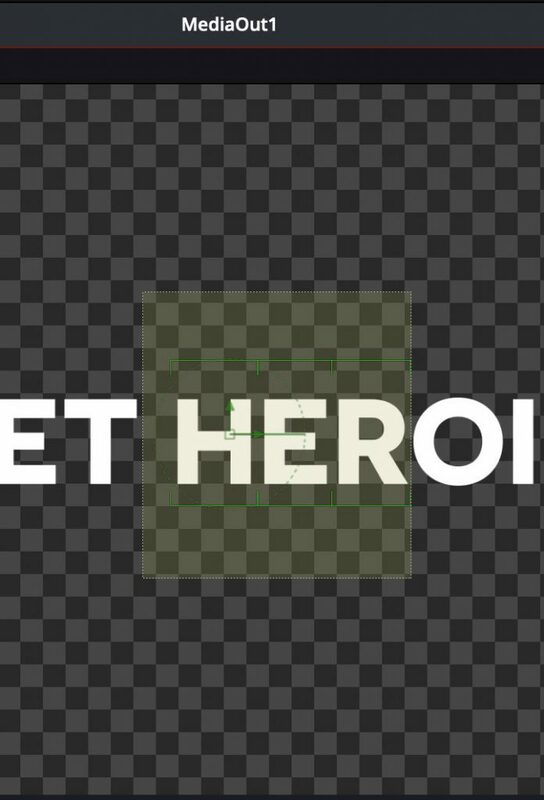 If you’d like to have a blurry shadow behind your letters to create depth that would be a fast way to do it. Now that those first four elements are only present, you can change them or you can use elements five to through eight to create your own. Have fun experimenting with those. A ton of options are available to you: softness, position, rotation, shear a size. By the way, each slider can be keyframed individually. Is that all we can do with title +? 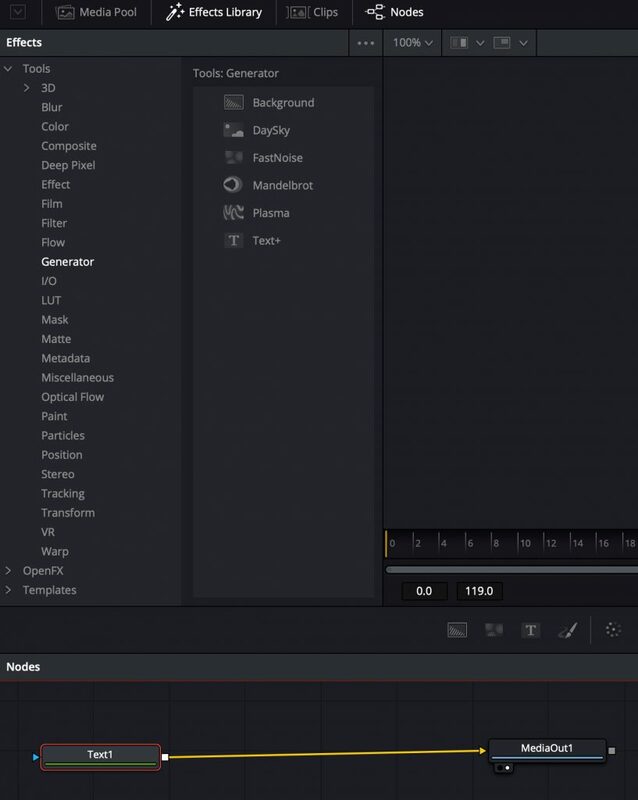 Title+ is a template fusion title tool programmed to let you have those controls available to you in the edit page. But you are already working in Fusion behind the hood. 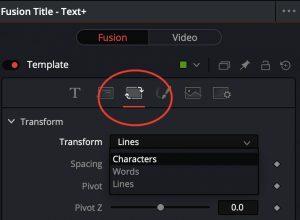 It is a great way to make your first step in Fusion without actually working in the Fusion page. Title+ in the edit page is just a small taste of what is waiting for you on the other side. In the edit page, you cannot change each character style individually if you want to a character or a line larger then another, or use two different fonts the same title card. You have two ways to do that: making separate title clips for each font or each size, and keyframe so they seem to be part of the same sentence. Or you can stop fighting it, turn the page, click on the Fusion page. Ready or Not, Here Is Fusion! Fusion works like a pipeline called a node tree. If you do plumbing, electricity, or play Mario Bros, it’s the same idea. It enters one way, it goes out the other the way. Your text enters in the first node and travels to MediaOut. It is the last destination that feeds into the edit page and the color page. All your work will take the form of other nodes plugged in between to affect your title. A node will affect the node after it. You can see what is a node by loading the node in viewer 1 or 2, by simply pressing 1 or 2. Load Text+ from the effect library, rename it Type F2, and connect it to Media Out. You can have as many Titles as you want but you need a Merge node which we won’t get into right now. Click on your Title and check the inspector window. Is it familiar? Great! It is the same the one you have in the Edit Page. We were in Fusion this whole time without realizing it. Type your title in the inspector and right click somewhere in the grey box and a menu should open. 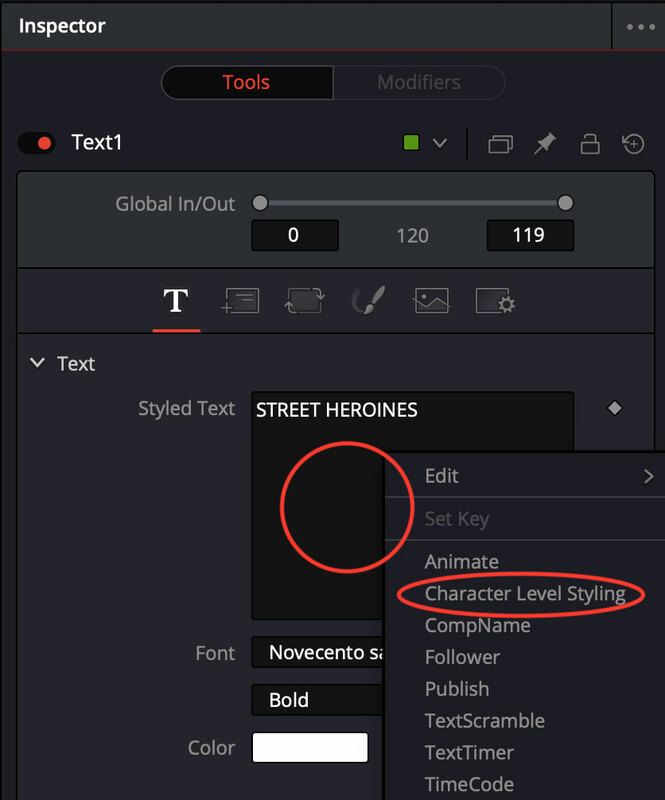 Click on Character Level Styling. A new tab should be now available to you, the Modifiers tab. In the viewer showing your text, just draw over the characters you want to modify. Each character selected will turn green meaning that you can now change their style. Do you remember the eight shading elements from before? Well, now you have access to them at the character level. They are just called elements this time, and you have access to eight new pages for each selection. For anyone who never had the time to learn After Effects, but still secretly wanted to design titles, I hope this will inspire you. Last Words: Story, Story, Story! Title sequences are an opportunity to tell your story. You now have the tools, think about what you can communicate through movement, typography, and style. As we are currently editing we are looking to find a way to make our titles reflect our message. Was this useful ? Please leave your comments below!